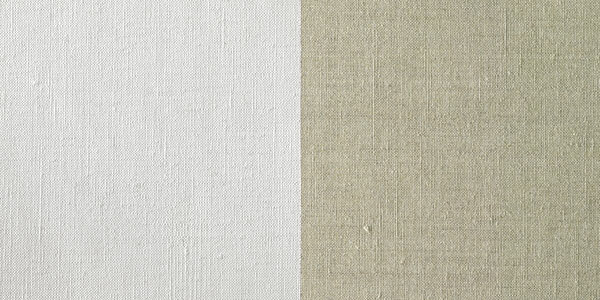 This Flemish linen canvas is woven entirely of line yarns to create a very fine, uniform weave that is ideal for portrait work and other fine techniques. Manufactured to Fredrix’s highest standards of quality, it is available with either a single-primed or double-primed surface. Fredrix’ ongoing concern for health and safety in the artist’s studio, classroom, and the environment has driven the development of its new Titanium Alkyd Oil-Primed Canvas. 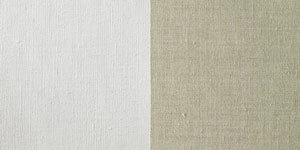 This canvas replaces Fredrix’ Lead White primed canvas. This new canvas performs equal to and, in many cases, better than Lead White canvas, continuing Fredrix’ legacy of consistently providing the artists’ community with the best-performing surfaces. Enhanced features of this canvas include increased flexibility, improved long-term stability and color retention, and a significantly improved tooth for receiving oil paints.